T-Mobile gets BlackBerry Sunset | BlackBerry Blast! 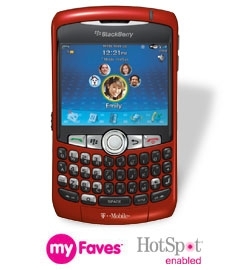 The rumored shiny red BlackBerry Sunset is now available at T-mobile. The BlackBerry Sunset sells for $149 after rebates and contracts. There's not much new for the Sunset except its shiny new color. Check out the Full Story link for the particulars.